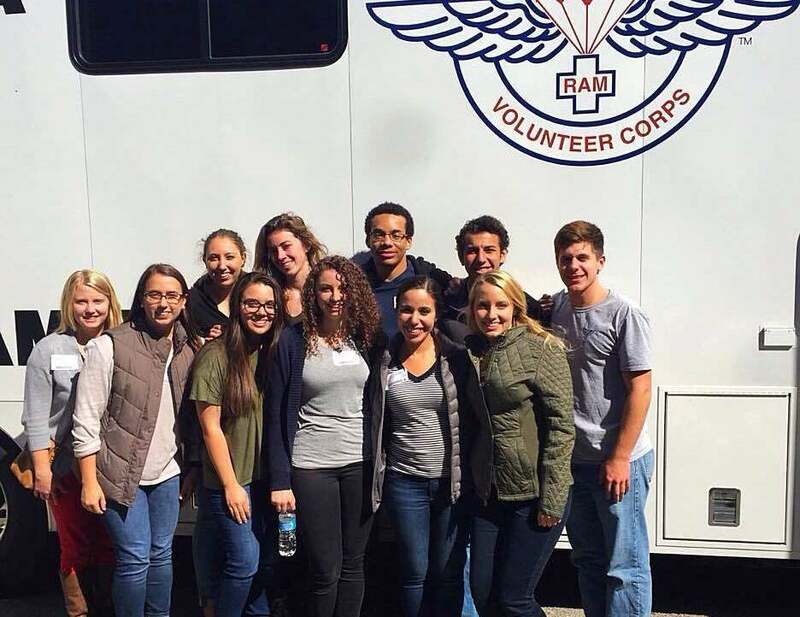 After hearing of Remote Area Medical (RAM) from Professor of Biology Dr. Nicholas Ragsdale, student Ambrose Rice was interested in getting members of Belmont’s Alpha Epsilon Delta (AED) Pre-Health Club to participate. With mobile clinics set up around the U.S., RAM serves to prevent pain and alleviate suffering by offering medical services such as check-ups, eye examinations, dental care and more at no charge. RAM’s standard of service combines high quality health care with compassion and cooperation from supporters, investors, practitioners and the organization’s many volunteers. Belmont’s AED club brought 13 students to support the clinic in Henderson, Tennessee, arriving as early as 5 a.m. to begin. Students began their shifts by registering patients, some of which had waited days to be seen by a physician for the first time in years. From there, the group was split into teams who worked in the dental clinic, performed small examinations to prep patients for the optometrist and assisted with fluid disposal. The AED group who participated included Monica Bond, Mohamed Darwish, Austin DeMaagd, Nelly Grigorian, Sherif Helmey, Kallan Hoover, Hope Kramer, Libby Ligon, Anna Margret McDonnell, Jasmine Niazi, Julisa Nunez, Brook Pugsley and Ambrose Rice. For the students, the opportunity was invaluable as they were able to experience service in the industry they are pursuing for future careers.